How much does an entry ticket cost? Alternatively, you can buy your ticket at the main entrance to the town walls. Below is a scan of my entry ticket to the Town Walls that I bought a few years ago. At the time, the entrance fee was much cheaper. 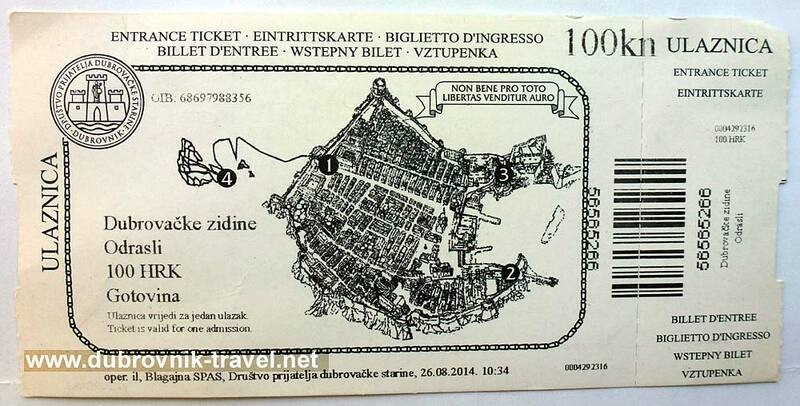 Entry ticket for Dubrovnik town walls – price 100 HRK (kuna). However, 2019 admission (entry) fee is 200 HRK. 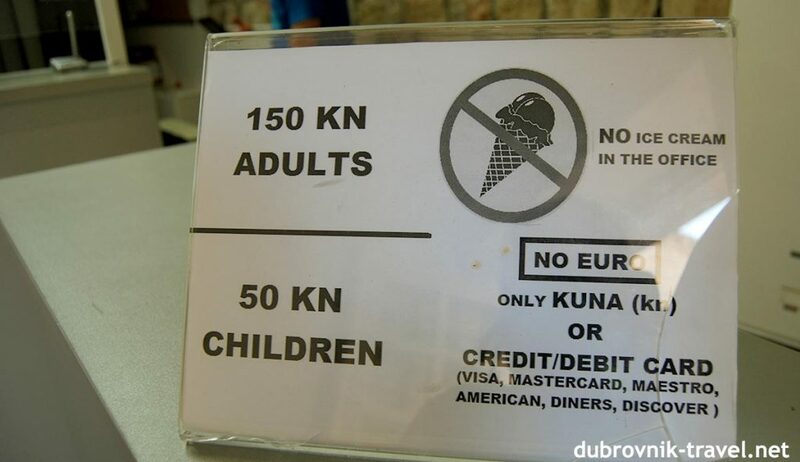 This is a photo of the sign from the ticket office that I took last year – they don’t take Euro in cash, just Kuna.